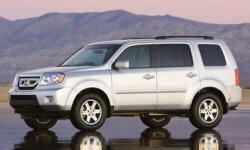 Why the 2009 Honda Pilot? Still looks like an SUV and not some space ship. Well thought out engineering with all the bells and whistles. honda quality and resale value. Smoothest SUV I have ever had.